Austin Quattlebaum is no stranger to the stage. He's been performing solo all over the country since 2012. His childhood home of Savannah, GA shines through in the swampy tones and sleepy Southern lilt of his banjo and melodies. And in his titling, as well-it doesn't get much more Savannah than The Ghost Tangled in the Oaks, the name of his 2013 LP. His solo performances blend gritty originals and tasteful covers; weaving 3 finger banjo, clawhammer and flat-picking guitar songs into his sets seamlessly. Sung with a bit of gravel in his throat, his tunes are sure to get the crowd's attention. 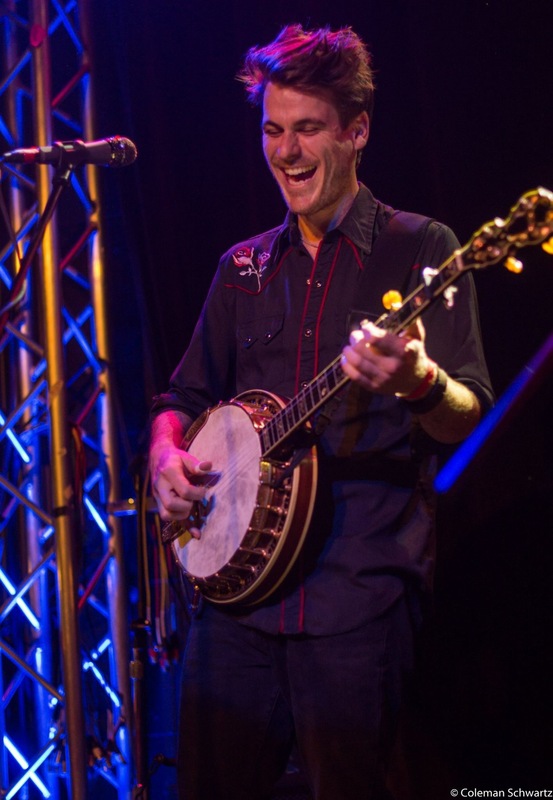 When Quattlebaum's adventures landed him in Portland nearly 3 years ago he quickly dove into the local music scene and founded the up and coming bluegrass band, Crow and the Canyon. (C.&.t.C. hit the Portland scene with a bang, achieving many accolades and notoriety in their short history.) In addition to Crow and the Canyon, Quattlebaum can also be seen with the 8 headed folk monster band from San Francisco, The Sam Chase and the Untraditional. Raising a ruckus at festivals like Outside Lands, Hardly Strictly Bluegrass, and High Sierra. Whether taking the stage with one of his projects or all on his own, Quattlebaum isn't shy and always brings a good time.